85 Litre refrigerator, bottle rack. Holding tank and pump out installed , with fill level indicator and pump out switch. 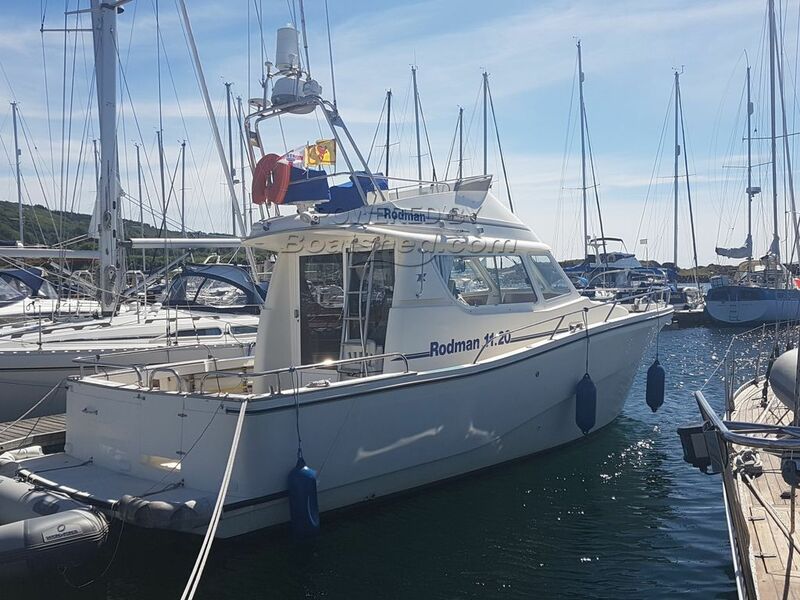 This Rodman 1120 is exceptionally well presented, having benefitted from an amazing number of upgrades as can be seen from the specification. She has been well maintained, still gleaming and shining, there is no hiding the fact that she has been loved and cherished. Ideally suited for the British coastal waters with a well-deserved sea keeping capability, if you are considering a boat such as this, then you must come and see her before buying a boat. This Rodman 1120 has been personally photographed and viewed by Ian Sawkins of Boatshed Scotland. Click here for contact details.